ideal for miking drums and percussions; microphone arm with additional angle joint. The C418 miniature condenser clip-on microphone has a specifi- cally tailored frequency response for drum and percussion miking applications and is an alternative to the C419 for loud trumpets. Its hypercardioid polar pattern rejects leakage from nearby instruments. 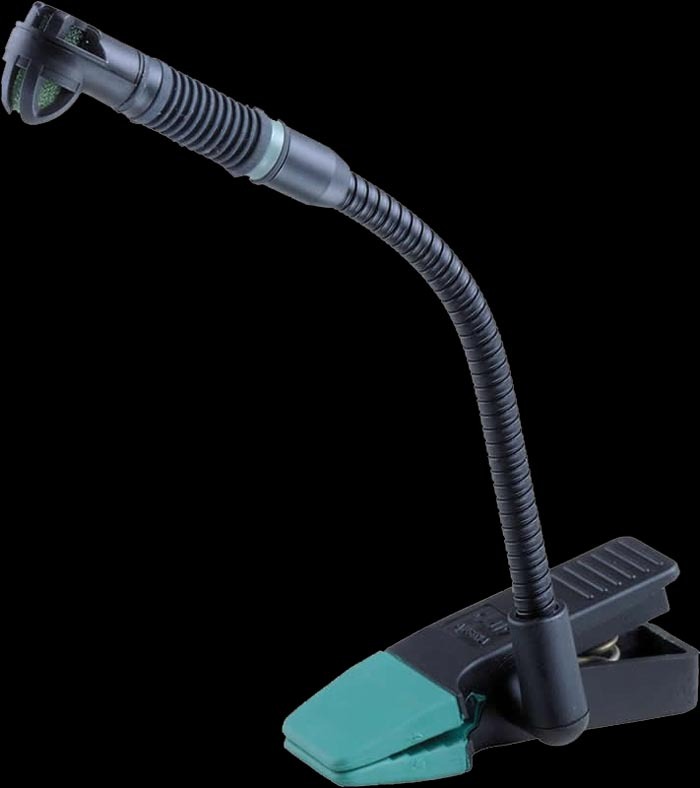 A solid clamp makes it easy to fix the microphone securely on the instrument. The H418 allows you to attach the microphone on top hoops that may be too thick for the integrated clamp. The C418 shock-mounted capsule provides high mechanical-noise rejection while withstanding even the heaviest drumstick blows. A two-angle adjustment arm ensures precise microphone alignment.